If you follow me on Instagram (Katieatki) or Twitter (@katieatki) you'll have probably already seen my new do. Yes, I re-ombred my hair and this time it went well. I love the ombre effect and really wanted to jump back on board, so here it is. Sorry about the iPhone photos I'm having a little camera dilemma at the moment. Also if you'd like a tutorial on how to ombre or a hair care routine please let me know in the comments. Secondly, I thought I would show off my new statement necklace*. I'm not a necklace person really but when I made my order with Choies I spotted this and added it to my basket. 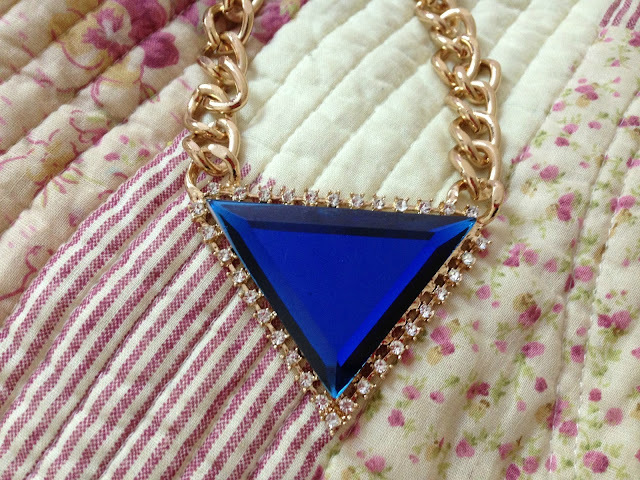 I love the colour and style, it's really feminine but the big chunk chain mans it up. It really adds something to a plain outfit. Love the hair, it really suits you. I inadvertently had ombre hair when my highlights grew out and loved the effect way more than I thought I would. That necklace is amazing. I really need to pick up some statement jewellery, all my necklaces are tiny, childish little ones I pick up from Accessorize! 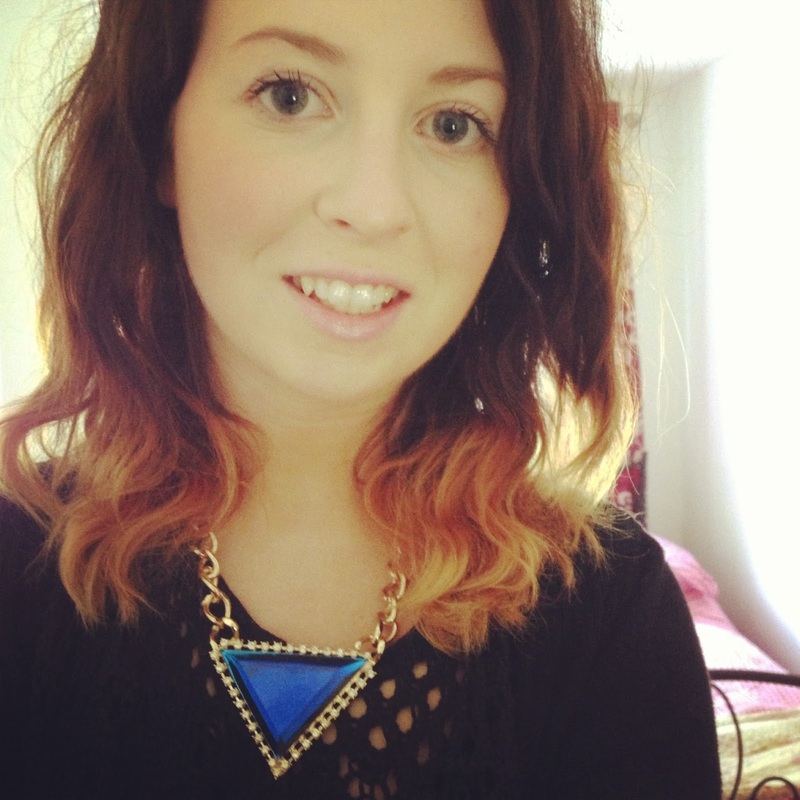 Your hair looks great - necklace is fab too! This necklace is gorgeous! A true statement piece! Like the titanic stone, perfect! Great post beaut. love your hair and your skin looks amazing in that photo! Love the colour of that necklace! Gorgeous! I've always wanted to try ombre but never been brave enough! Really suits you. Popping by from the #lbloggers chat!